Check out this gently-used 2016 Volkswagen Jetta Sedan we recently got in. The Volkswagen Jetta Sedan 1.8T Sport speaks volumes about it's driver, uncompromising individuality, passion for driving, and standards far above the ordinary. It's exceptional fuel-efficiency is a clear sign that not all vehicles are created with the same standards. 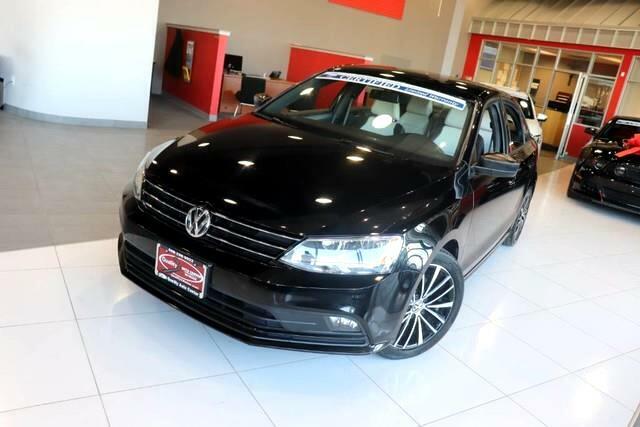 With less than 40,472mi on this Volkswagen Jetta Sedan, you'll appreciate the practically showroom newness of this vehicle. You can finally stop searching... You've found the one you've been looking for. More information about the 2016 Volkswagen Jetta Sedan: The 2016 Jetta competes with the Honda Civic, Mazda3 and Toyota Corolla. Previously, price kept it just out of reach of potential buyers of the competition, but Volkswagen has worked to give buyers the best of all worlds, carefully packaging features and tweaking the Jetta's price level. Volkswagen wants buyers to feel they can get a premium German sedan or wagon at a friendly price, with fit and finish similar to that on cars that cost two and three times as much. This model sets itself apart with good handling and braking, terrific trunk space, excellent fit and finish, fuel economy on Hybrid models, and Affordability No Credit / Bad Credit / No Paystubs, No problem !! ! All Approved ! Everyone drives ! CLEAN, GORGEOUS, LOW MILES, SHOWROOM CONDITION. CALL NOW QUALITY CERTIFIED up to 10 YEARS 100,000 MILE WARRANTY , To Certify a vehicle, there will be an additional cost for Certification. CALL NOW For details. STUNNING AGGRESSIVE LOOK ON THIS BEAUTIFUL--Call today to schedule a test drive... Good Credit/Bad Credit/No problem!!!! Get paid cash? No problem!! 100% Credit Approval with interest rates starting at 2.49% for qualified customers, our rates will not be beaten. We price our cars at wholesale price to guarantee the best deals for our customers. Our inventory moves quick, please call to confirm the availability of the vehicle of your interest Springfield location 973-564-0112. This vehicle is located at our SPRINGFIELD location. Come visit our new showroom in Springfield NJ.